Amazon announced it’s opening a new office in Manchester, UK. 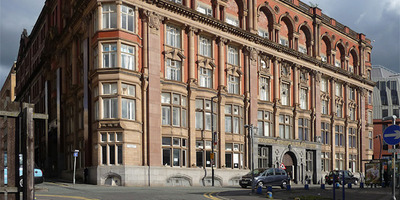 The new office, based in the Hanover Building, will accommodate at least 600 staff. Amazon is also expanding its research and development teams in Cambridge and Edinburgh. Amazon has that it’s opening up a new office in Manchester, and investing in 1,000 additional research and development jobs in the UK. Amazon’s new Manchester office will open in 2019 and will be based in the Hanover Building in the city’s Northern Quarter. It will be big enough to eventually house 600 staff. Extra staff will also be added in Edinburgh and Cambridge, where specialists work on machine-learning, drones, and the AI assistant Alexa. Amazon said it has invested more than £9.3 billion ($US12.2 billion) in the UK since 2010 and is on course to have 27,500 staff on its books by the end of the year.